Less than two months after opening, a Wilmington charter school is under state investigation. The State Board of Education placed the Delaware Met under formal review Thursday during its monthly meeting. The unusual move stems from concerns about the fledgling charter’s organizational capacity, it school climate, and its fiscal solvency. The school now faces a 60-day investigation by the state, after which Godowsky can make one of three recommendations: no action, probation, or school closure. If Godowsky recommends probation or closure, the state board would then have to uphold his decision to make it final. State officials provided few details about the goings on at the Delaware Met, but said they needed to investigate after a stream of alarming comments from students, community members, staff, and police. Though she did not mention any specific incidents, Jennifer Nagourney, director of the state’s charter school office, said the state received reports of bullying and fighting at the Delaware Met. The school, which serves 9th and 10th graders, opened its doors in late August and has seemingly been under siege ever since. The school’s principal went on maternity leave last month, prompting an employee from the Delaware Met’s charter management organization to step in as school leader. There’s also concern about the school’s financial viability because of a sharp drop in enrollment. In August, the Delaware Met had 261 students. On Thursday, the state said the school only had 215 students, a 21 percent enrollment drop. The plunge is troublesome given that charter schools receive funding based on the number of students enrolled. The Delaware Met school board held an emergency meeting in late September to determine whether it should shutter the school. 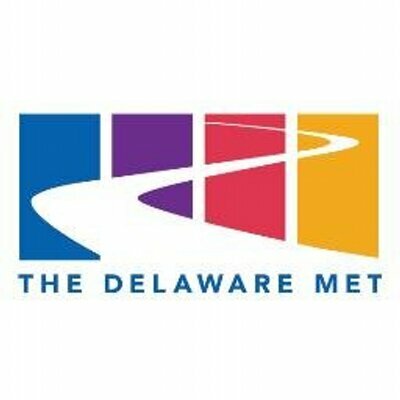 The board voted unanimously to keep the Delaware Met open. The board convened another emergency meeting earlier this week, on Monday evening. In an e-mail to board members obtained by NewsWorks/WHYY, Adriane Anderson-Strange, the board’s secretary, said the meeting was being called to promote “additional alignment” between the Delaware Met board of directors and its management organization, Innovative Schools. “There is some disarray in communication and messaging,” wrote Anderson-Strange. The state typically invokes formal review only when a charter has demonstrated financial, organizational, or academic problems—and usually only when presented with hard evidence. There is no such data available on the Delaware Met, largely because the school is so new. But the department said it needed to act because of the volume and nature of reports coming out of the school. The state board agreed, if a bit uneasily. “We’re putting the school’s reputation and our process on the line,” warned Teri Quinn Gray, president of the state board. Thursday’s state board meeting also featured a surprisingly frisky exchange between board members and representatives from the Wilmington Education Improvement Commission. The Commission is developing an official set of recommendations for improving Wilmington schools. Those recommendations are expected to include a plan that would reduce the number of districts operating in the city from five to three. Joe Pika, head of the commission’s redistricting committee, argued that the move would clear bureaucratic red tape. “It is a necessary precondition, I’m convinced, to move forward,” Pika said Thursday of the redistricting plan. Board members, however, didn’t sound convinced. “I’m really concerned that this is taking our focus away from what we have to do,” said board member Pat Heffernan. Heffernan said the commission’s efforts should center around improving instruction and other interventions more closely tied to the classroom environment. “We could do that without redrawing the lines,” Heffernan argued. Bunting, his fellow board member, agreed. 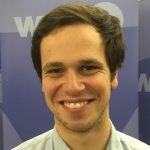 Dan Rich, the commission’s policy advisor, said the Wilmington Education Improvement Commission wouldn’t endorse a plan that redrew district lines without making substantive recommendations for how to improve classroom outcomes. “This is not about changing the signs on the building,” Rich said.